And stand behind the coating and waterproofing systems we install in Newport Beach with excellent warranties. Call the deck coating and waterproofing experts at Tuff Kote Systems today. 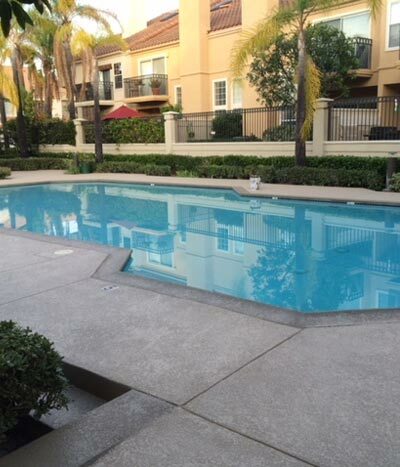 We provide our exceptional quality coating and waterproofing services to Newport Beach as well as all of Orange County and the greater Los Angeles region, and provide estimates throughout our service area. Our business hours are Monday through Friday, from 8:00 am to 4:00 pm, and we accept Mastercard, Visa, American Express, and checks. Tuff Kote Systems is licensed, bonded, and insured. 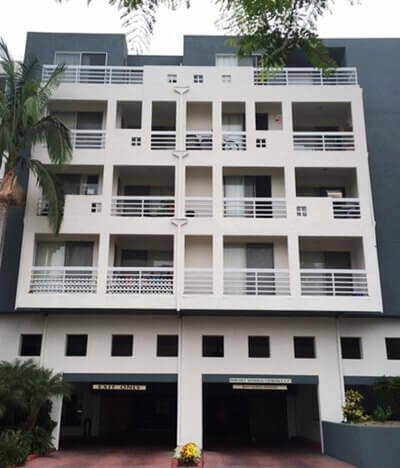 At Tuff Kote Systems, we install both above grade and below grade residential and commercial waterproofing systems in Newport Beach, and can do so at very competitive prices. When water from rain or foggy weather conditions leaks through the surfaces of roofs, decks, or balconies at points of damage such as in areas of worn or weathered deck or balcony coating, or at roof penetrations which are improperly flashed, water damage to insulation, drywall, and other building materials can occur. And this damage often results in the need for major repairs. 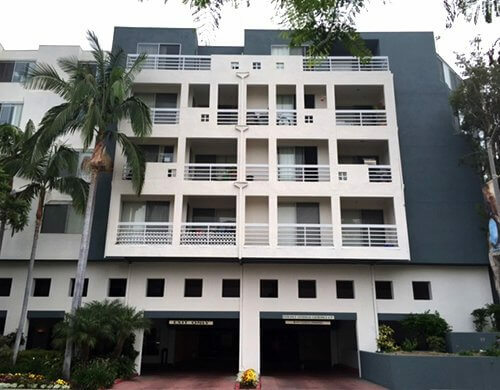 At Tuff Kote Systems, our premium grade waterproofing systems can alleviate or prevent any above grade water leakage problems you may be experiencing at your home or business, and can do so for very competitive rates. 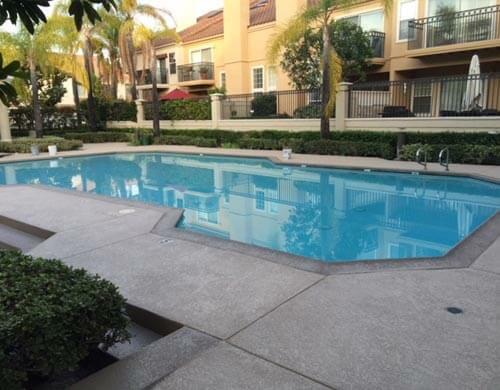 In addition, we also correct below grade moisture problems in Newport Beach businesses and homes. Groundwater and surface water can cause serious damage to below grade structural support members such as retaining and foundation walls, footings, and concrete slabs. It can cause these below grade foundation elements to suffer concrete spalling, reinforcing steel corrosion, and can also cause the structure to settle, with the result that cracks form in the building's envelope. Moreover, below grade moisture problems can also lead to the development of mold and mildew within the building, causing significant structural damage to the building, and causing issues with indoor air quality for those who live or work in the structure. Depend upon Tuff Kote Systems to correct any above or below grade moisture problems in your Newport Beach home or business. We have been performing our expert waterproofing services for over 25 years, during which time we have successfully resolved nearly every above grade or below grade moisture issue imaginable for our valued clients. Tuff Kote Systems is licensed, bonded, and insured, and we perform our exceptional quality waterproofing services in conjunction with our general contracting division, General Contracting Group. Deck coating is the ideal way to add new life and style to Newport Beach decks, elevated walkways, balconies, and stairways. Our deck coatings are available in a wide selection of colors, styles, and textures, and are slip resistant for added safety. Our durable deck coatings can be applied to deck surfaces which are damaged or worn, and can also be reapplied over previously coated deck, balcony, stairway, or walkway surfaces. They are ADA (Americans with Disabilities Act) compliant, and are offered with excellent warranties. Call the deck coating specialists at Tuff Kote Systems today. We offer onsite estimates throughout our service area. Tuff Kote Systems is licensed, bonded, and insured. Decorative finishing is the ideal way to improve the look of damaged interior and exterior surfaces in Newport Beach. Even correctly installed concrete can develop imperfections such as cracks and discoloration as it ages, developing a less than attractive appearance which detracts from your home or business's decor. But now, it is not necessary to remove and replace this concrete in order to alleviate this problem. Today's decorative finishes are available in an extensive array of colors, patterns, and textures, and can give your interior or exterior floor, deck, balcony, or stairway, and hardscape surfaces such as driveways, walkways, patios, and pool decks a whole new look. Decorative concrete overlays are much more economical than concrete replacement, and are available in such designs as orange peel, knockdown, "faux" tile and brick looks, and also "faux" stone patterns such as flagstone, cobblestone, and slate. They are slip resistant and ADA (Americans with Disabilities Act) compliant, and also possess a Class A fire rating. Resolve deck drainage and leakage problems. Repair or replace damaged structural members. Perform stucco patching and painting; replace siding as necessary. Contact us today to schedule an estimate at your Newport Beach home or business. Our office hours are Monday through Friday, from 8:00 a.m. to 4:00 p.m, and we accept Mastercard, Visa, American Express, and checks. According to California's Title 24 Energy Efficiency requirements, commercial roofing systems over conditioned spaces in Newport Beach must meet Title 24 "cool roof" specifications in regards to solar reflectance (SE) and thermal emittance (TE) standards. A roof's solar reflectance rating measures how well it is able to reflect the sun's rays, and a roof's thermal emittance rating measures a roofing system's ability to give off, or "emit," the heat that it does not reflect, but absorbs from the sun. These characteristics are rated on a scale of 0 to 1, with 1 being the most reflective or emissive, and hence, providing the "coolest" roofing system. The reason solar reflectance and thermal emittance are important for meeting energy efficiency standards is that the longer heat absorbed from the sun stays in a roof, the more opportunity it has to penetrate the roofing system, and enter into the conditioned space of the building. Needless to say, once the heat has entered the building's living space, it complicates cooling efforts, requiring greater air conditioning use, and increasing the building's energy consumption level. 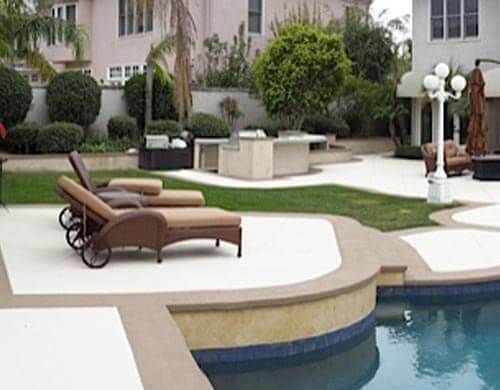 Let the concrete staining experts at Tuff Kote Systems add design interest to your Newport Beach driveway, interior or exterior floor, patio, walkway, or pool deck. Because concrete is porous, it makes the perfect canvas for stains and dyes. And today's concrete stains are available in a wide range of colors, and can be installed in many decorative patterns. 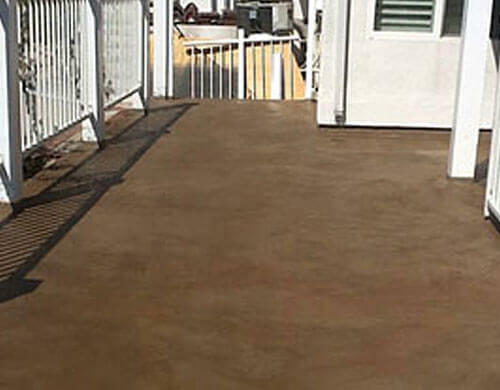 Concrete staining is ideal for both residential and commercial applications, and it can be installed on both new and older, weathered or worn concrete surfaces. 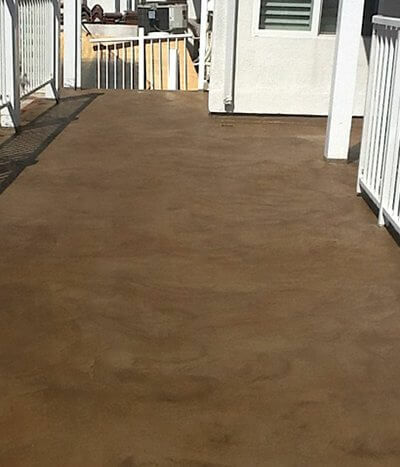 At Tuff Kote Systems, we utilize only premium quality concrete stains, and offer our concrete staining services at very competitive prices. 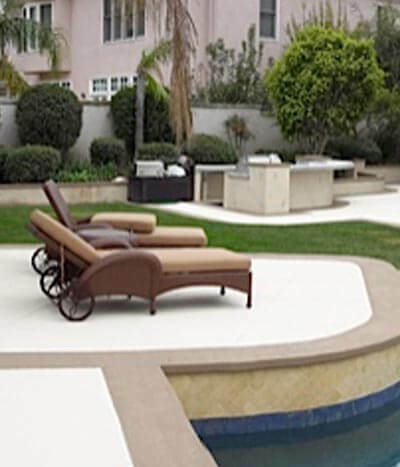 Tuff Kote Systems is the premier waterproofing and deck coating contractor serving Orange County and the greater Los Angeles region. Contact us today to schedule an estimate at your Newport Beach home or business. Our experienced coating and waterproofing technicians observe the highest standards of professionalism, and are committed to providing excellent customer service to our valued clients. Tuff Kote Systems is licensed, bonded, and insured. Tuff Kote has been water proofing the patio and pool decks at the Association I manage for years. They do very nice work and the follow thru is great. Their pricing is competitive . . .